A pharmacy benefit manager is an entity that offers educational programs and services to help out patients. They do so by lobbying with doctors and pharmacists so that they prescribe drugs in a proper manner in order to improve their effectiveness. In short, they help you to navigate the complex healthcare system beyond the doctor and pharmacist relationship. A pharmacy benefit manager acts as an intermediary between insurers and other members of the healthcare industry. Owing to their size, they can effectively negotiate on large-sized customer contracts with both pharmaceutical companies and pharmacies to manage the best possible rates. When it comes to choosing a pharmacy benefit manager, companies are requested to opt for one with maximum outreach since they are in a better position to negotiate reimbursement rates for medications and patient care services. Services of the pharmacy benefit managers are mostly availed by corporate employers, labor unions, and other organizations. They are required to interface with drug manufacturers to process claims related to prescription. Their services are extremely crucial since they organize everything to ensure one gets the medication on time. Some of the largest pharmacy benefit managers are based in the U.S. They cover more than half the patients. Those include Express Scripts, Argus, CVS Caremark, and Envision. The healthcare industry has always been on an upswing but in the recent times, owing to the increased income of urban populations in emerging economies, the demand for proper management of healthcare infrastructure has multiplied exponentially. Pharmaceutical and diagnostic device manufacturers, as well as government agencies, are now leveraging the concept of pharmacy benefit managers (PBMs), who essentially are third-party administrators of prescribed drug distribution program for self-insured employers, commercial health care providers, and state or federal employee health benefit plans. These PBMs undertake the responsibility of formulating and managing the processes of contracting with pharmacies while negotiating discounts with the original drug manufacturer. As per the findings of this business intelligence report, the global pharmacy benefit manager market will expand at a formidable CAGR during the forecast period of 2017 to 2025. PBMs mostly work for government agencies and self-insured companies with their primary focus on sustaining an overall viable expense on pharmaceuticals. Developed by an experienced healthcare research professional, this business report represents the commerce of the market for pharmacy benefit managers, providing qualitative and quantitative data in terms of US dollar million. 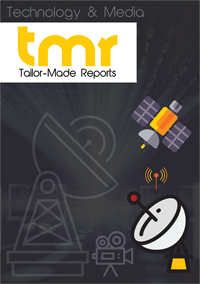 Developed by following proven market research methodologies, the report segments the market into smaller aspects, gauges the potential of demand showcased by different regions and countries, and profiles a number of leading players in a featured chapter on the competitive landscape. This PBM market report has been prepared to act as a credible business tool for targeted audiences such as pharmaceutical and drug manufacturers, government agencies, and venture capitalists. Radical improvements in the healthcare infrastructure across emerging economies such as China, India, Malaysia, and Indonesia has had a strikingly positive reflection on the overall pharmaceutical market. Professionals in urban parts of these countries now are demanding adequate insurance plans from their employers, who in turn are resorting to PBMs to manage their overall cost of employee benefits. PBMs handle the responsibility of negotiating with drug manufacturers by the means to achieve greater cost benefits, handle contracts with retail pharmacies, and act a pivotal role in justifying and approving reimbursement claims. Growing prevalence of chronic diseases, increasing percentage of geriatrics in the world’s population, and expanding awareness among the end users are some of the other factors augmenting the demand in the market for PBMs. Mushrooming of small and medium enterprises and increased emphasis of several governments to provide bare minimum medical facilities is expected to continue opening strong opportunities in this market in the near future. With increased disposable income, urban populations are opting for insurance policies like never before, and the PBM market is poised to flourish. Additionally, the pharmacy benefit managers who work with online pharmacies are also expected to gain traction going forward. Based on products, this market can be segmented into drug formulary management, benefit plan design and consultation, specialty pharmacy services, retail pharmacy services, and other services. Players of the PBM market are approaching SMEs and government departments to utilize their teams of experts, and this is expected to remain a key strategy to gain greater shares over competitors. Expansion of product portfolio in accordance to diverse demands of the clients and mergers and acquisitions are some of the other modes of achieving a position of dominance by the market players. Some of the notable names are CVS Health, Express Scripts, Catamaran, Prime Therapeutics, and OptumRX.